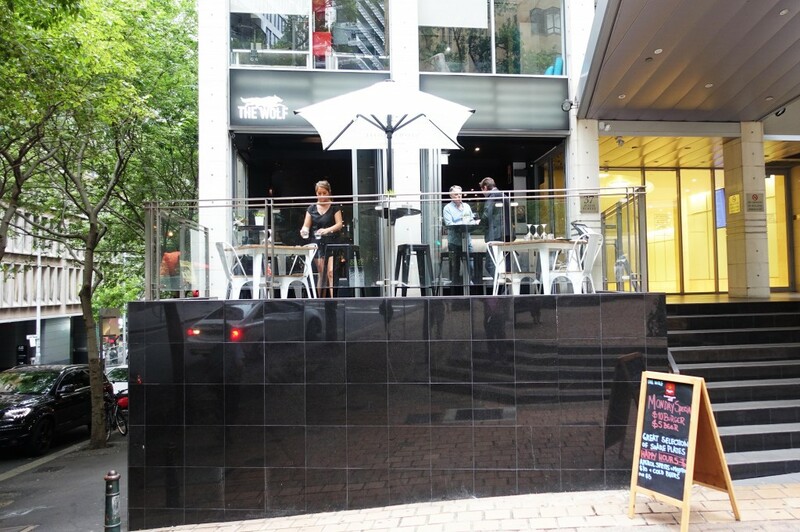 The Wolf Wine Bar is a trendy new bar located on the corner of Hunter and Bligh in Wynyard. 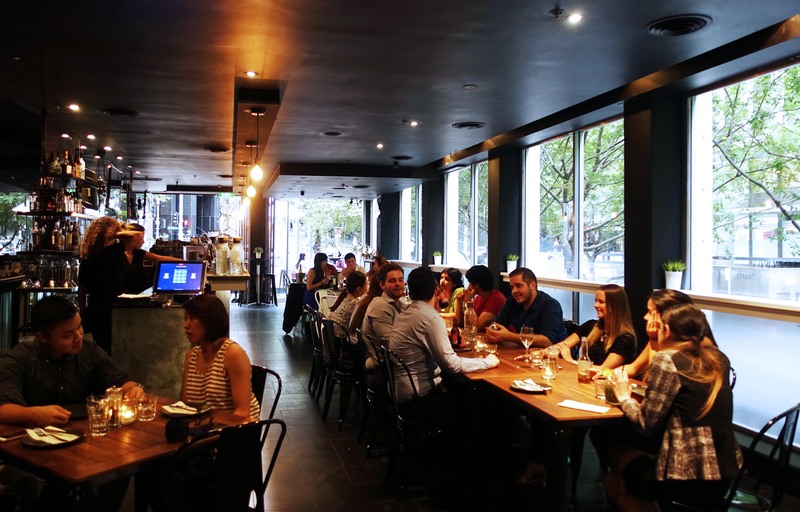 The bar has only been open for a few weeks but is already a popular watering hole which also happens to serve up great food to watch all the drinks available. 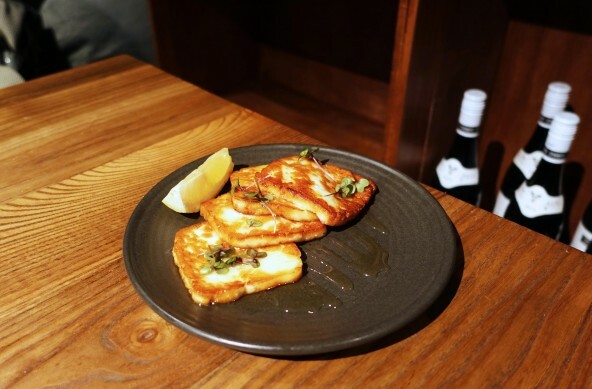 I can never down turn a good dish with haloumi and this was definitely no different, the grilled haloumi doused in sweet honey and lemon juice made for a delicious entree to start the meal off. 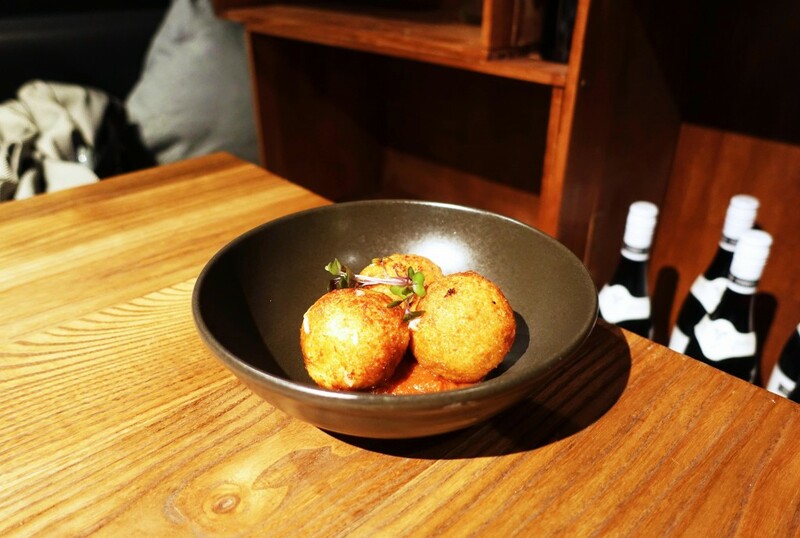 The mac and cheese croquettes were an interesting twist to the norm, the crunchy little balls of goodness simply oozed with cheese with every bite and go extremely well with the bed of tangy tomato salsa. 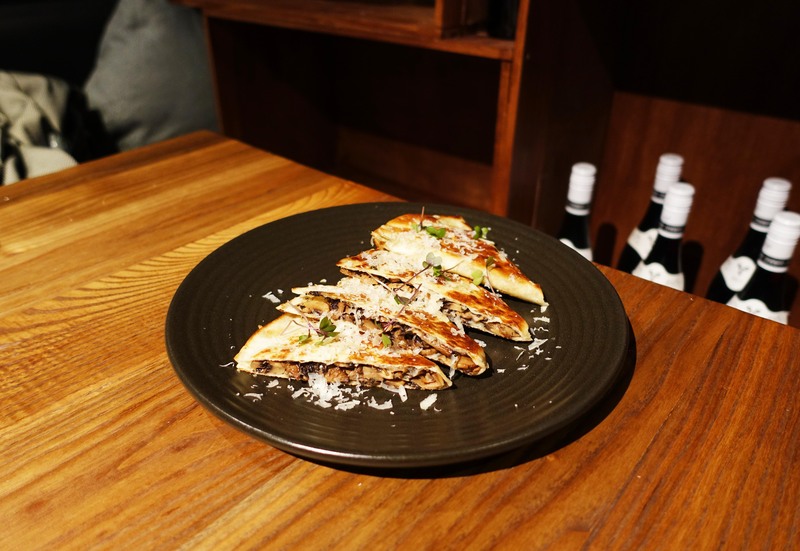 Since we had a vegetarian dining with us we had to go with quite a few vegetarian dishes, the grilled king brown mushrooms with a dusting of cheese on top were both fragrant and delicious. 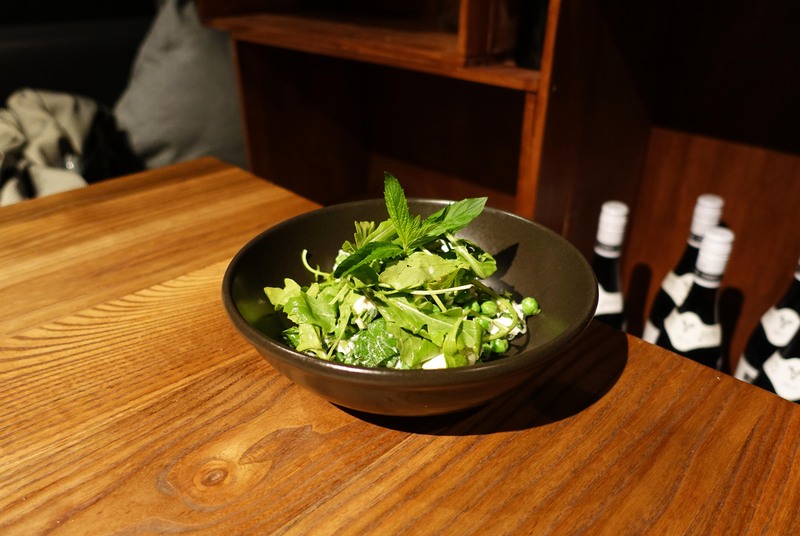 I was personally not a fan of the vegetarian pea salad but it seemed to be a hit with the others on the table. I love ceviche, or rather I love any type of sashimi or raw fish dish. 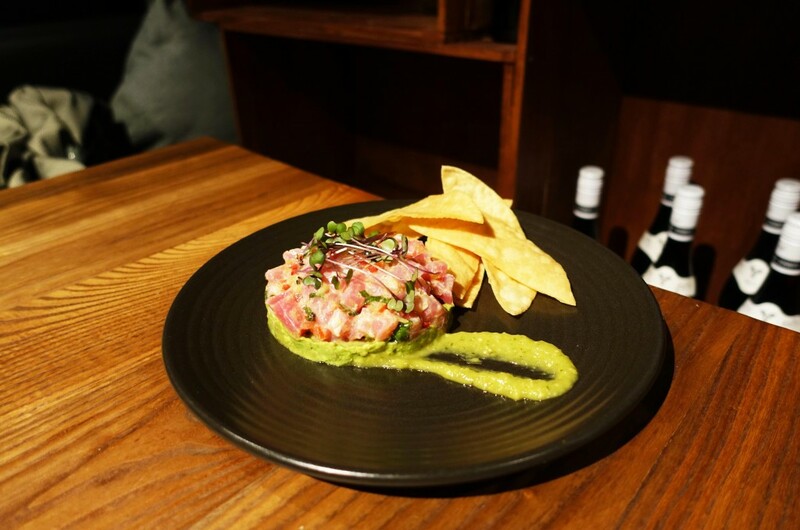 The subtle taste of lemon and lime mixed with avocado and tomatillo sauce was probably my second favourite dish of the meal. The hanger steak was hands down my favourite dish of the night. 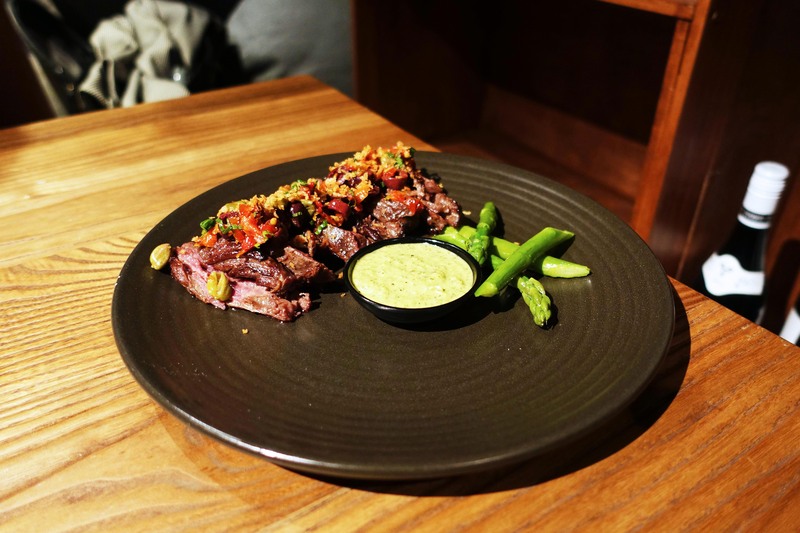 The pairing of high quality beef steak served with various grilled side vegetables and a creamy bearnaise sauce was a winning combination. 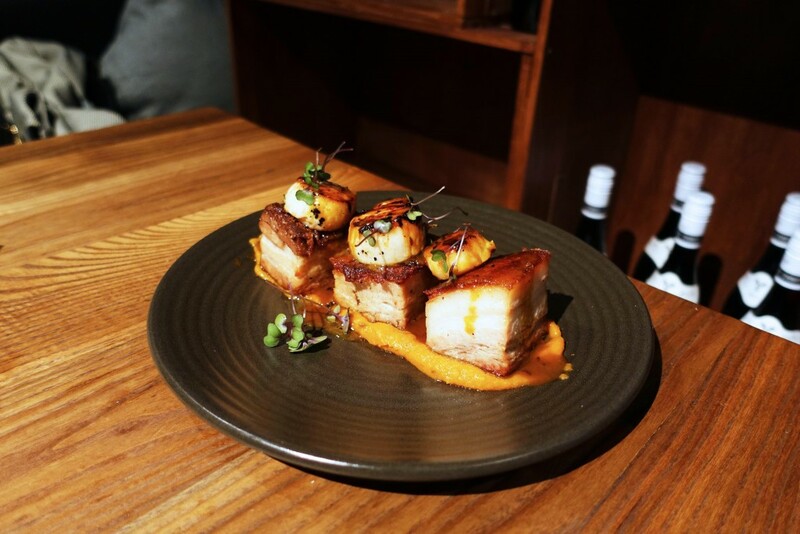 We originally hadn’t ordered this dish but with dessert not yet available and a little bit of room left in our stomachs we decided to order the pork belly and scallops simply because they sounded irresistible. The pork was very juicy and the scallops almost just melt in your mouth. 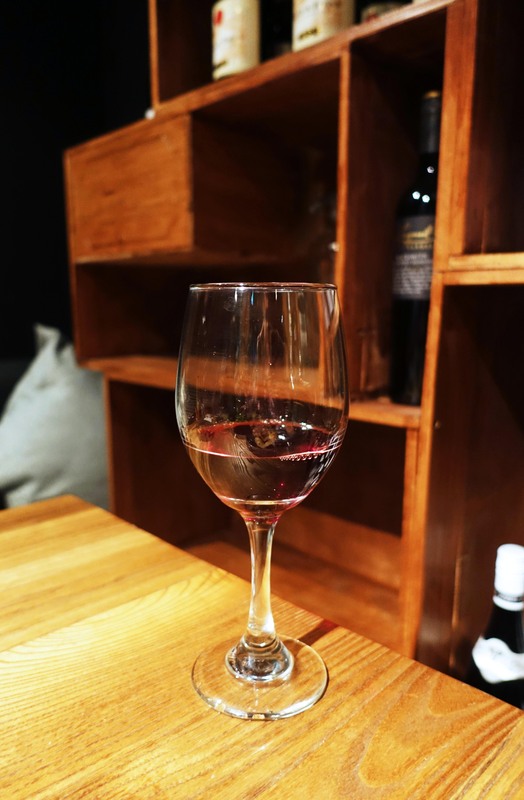 The meal was accompanied with a mix of different red and white wines. 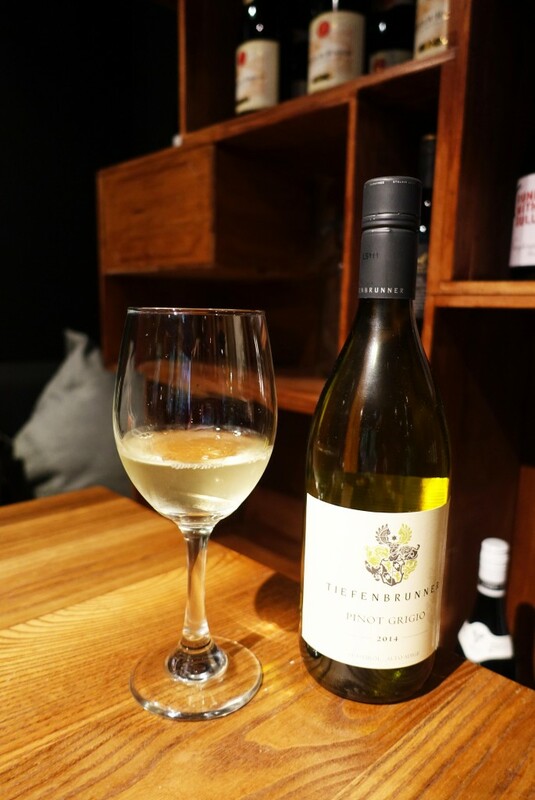 Since The Wolf is a wine bar at heart so there is a huge selection of different wines which is sure to sate most wine connoisseurs. 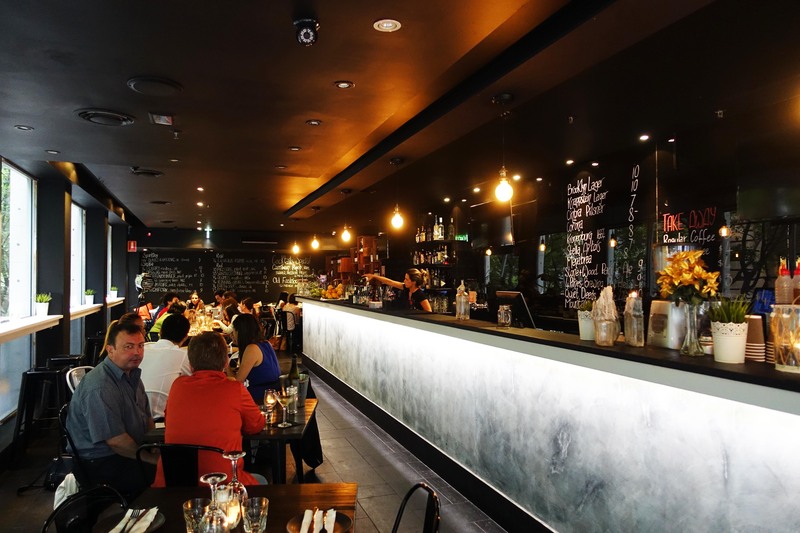 The venue is a relatively small one and resembles a bar more than a restaurant, don’t be fooled though because the dishes here are definitely more than your average bar food. Check back soon as they are still constantly developing the menu and desserts should now be available. 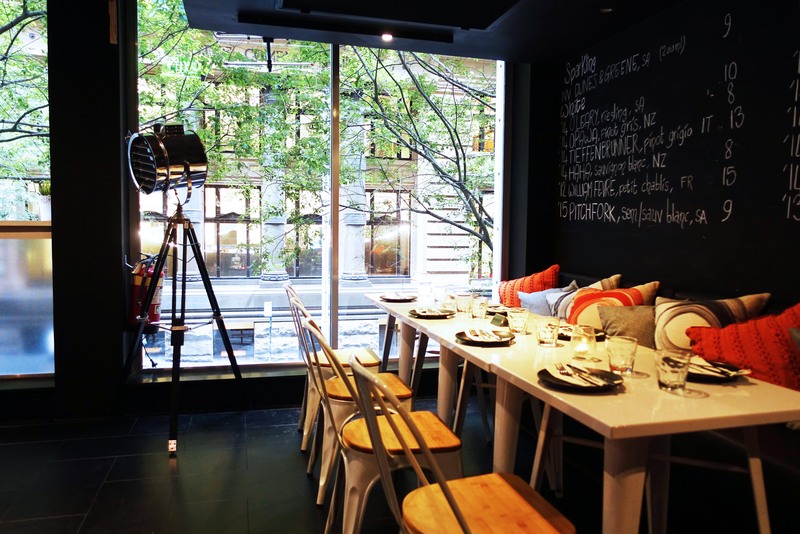 The Food Diary dined as guests of The PRESS SITE and The Wolf Wine Bar.